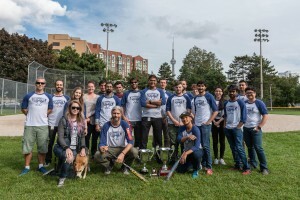 Fielding powerhouse teams throughout the 2018 softball season, SPINVFX emerged the undisputed champions of both the Toronto Film & Television League, as well as the VFX Industry League! 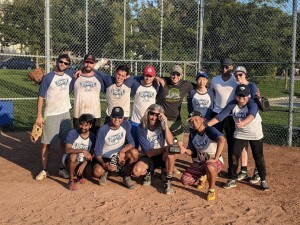 During the season, SPINVFX played on softball diamonds all over the city, competing against worthy opponents such as Bell Media, Entertainment One, Deluxe, and Soho. In the Film & Television League, our talented players won the Tier 2 Tournament Championships, cementing our place in the next-highest division. The team members got together in between matches to practice and train new players, resulting in a cohesive performance that showed on the final scoreboard. 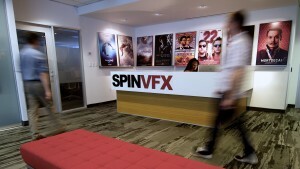 The VFX Industry League was even more intense as we went up against our colleagues in the visual effects community. 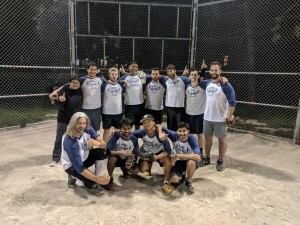 After having to relinquish the trophy in the 2017 season, SPINVFX brought it home again after a fierce semi-final match against Rocket Science, and a convincing victory in the finals against Mr. X. The team also awarded an “MVP” after each match, who then held on to the MVP belt until the next game. The final MVP for the season was none other than CFO Kenny Girdharry who, as part of the Softball Management Team, kept spirits high and our players hydrated! 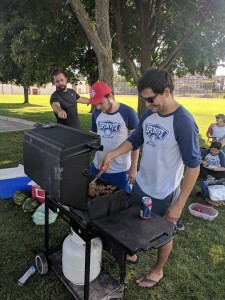 The Softball Management Team also included the organized and endlessly positive VFX Editorial Supervisor Brian Zhang, and the grill-master/VFX Supervisor Steve Ramone. Their leadership was integral to this season’s success, and their unwavering enthusiasm for their teammates made for an incredible team spirit that was obvious both on and off the field. Congratulations to the 2018 champions, and thank you to all of our fans and friends who came out to show their support. We will be proudly displaying our shimmering trophies at the studio until we return to defend our title next year.